Do you fantasize about having your own juice bar at home? If your answer is yes, the Nutrifaster N450 Multi Purpose Juicer is your solution. A commercial-grade juicer that produces high quality juice, this juicer is perfect for a household with high demand for fresh juice due to its heavy-duty efficiency that caters to high volume and regular use. 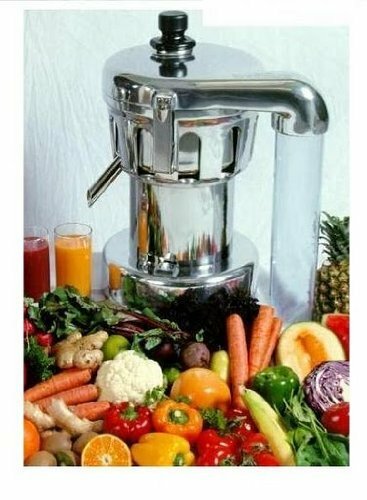 The Nutrifaster N450 Multi Purpose Juicer retails for $3,500 on Amazon and although it may be on the pricier side, you will understand how its price is justified by reading the rest of this review. The Nutrifaster N450 Multi Purpose Juicer has a powerful 1.25 HP motor and operates at the speed of 3,450 RPMs. The parts are engineered to last years, even with frequent use. 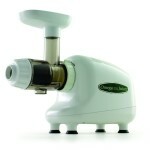 This durable juicer is also able to produce a high volume of juices at any time. It also has a safety interlock switch installed to keep it safe for use while it’s operating. 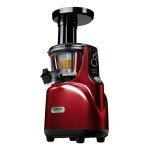 It has a compact design despite being a heavy juicer, standing at 19 inches and being 12 inches wide, weighing at 61 lbs. 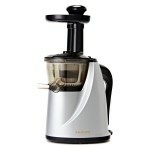 Nearly all reviewers love the Nutrifaster N450 Multi Purpose Juicer. They attested that the price tag is worth it if you’re after high quality juice. 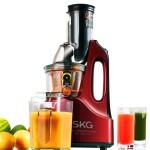 Some reviewers said that it is able to perfectly separate the juice from fruit and vegetable fibers. Also, it can juice a variety of produce. However, some reviewers do pointed out that the Nutrifaster N450 Multi Purpose Juicer works better on some ingredients compare to others. For instance, it makes nice and creamy apple and orange juices, but the same can’t be said for vegetable ingredients. Also, this is probably one of the priciest commercial-grade juicers in the market, a hundred times more expensive than the average-priced machines that are commonly purchased for domestic use. This steep price tag can throw off some homemakers or individuals who are only going to juice at home. Some users also lamented that it takes a while to clean up this model. 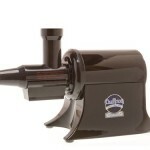 It’s over three times heavier than other commercial grade juicers as well.